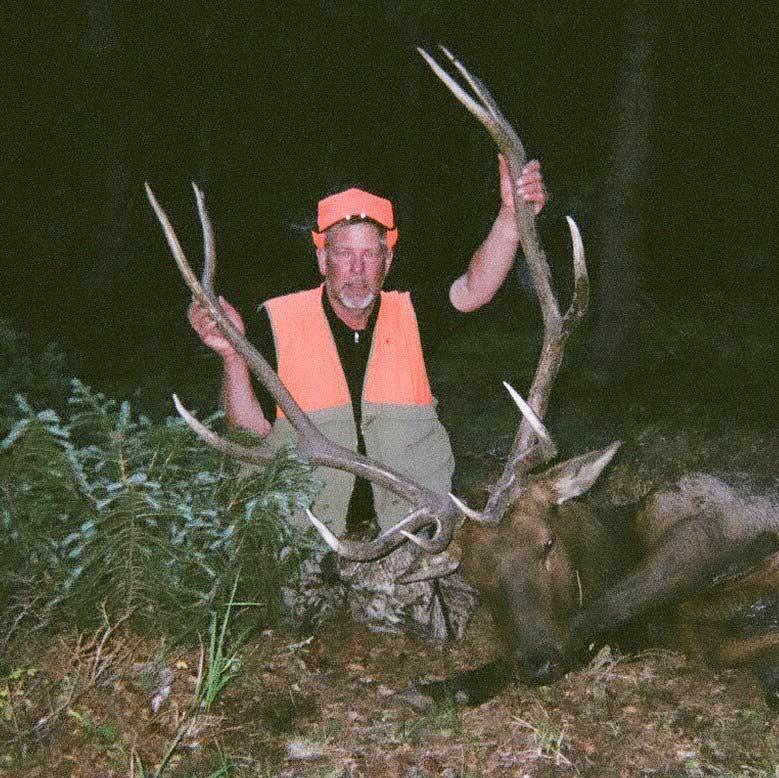 Here is a story about a muzzleloader elk hunting trip my brother, Tom, and I experienced last fall, September, 2012 in Colorado. After being on 25 DIY elk hunting trips over the years, with many being successful, none have topped our 2012 hunt with Justin Mitchell of Action Adventures. With having accumulated 13 preference points, we wanted to give ourselves the best chance of a good hunt so we decided to try to find a good outfitter and book a drop camp. After talking with 5 different outfitters, and several conversations with Justin, our choice was pretty easy. Once we learned in June we were successful in drawing the tags, we contacted Justin who was very helpful with details about what he would provide and what we were to bring. We arrived at the trailhead where Justin met us to pack us in. Camp was perfectly located and equipped. Justin was also very helpful giving us details on how elk use the area. We saw elk our first night right from camp and heard bulls bugling all night long. The first morning we tried unsuccessfully to get ahead of a herd of about 60 with 5 bulls. We followed until the herd got to green timber where we waited until mid-afternoon when the elk got active again. We got lucky; the wind cooperated and Tom shot the herd bull at 40 yards; a big 6×6. Justin checked in on day three to pack out Tom’s bull. The next two days we saw 75 -100+ elk a day. On day four, we had a long walk to an area where we were seeing elk consistently right from camp. That morning we saw three nice bulls, but couldn’t get a shot. Again, we laid low and watched elk all day long. About 3:00, in the afternoon, bulls started bugling again. 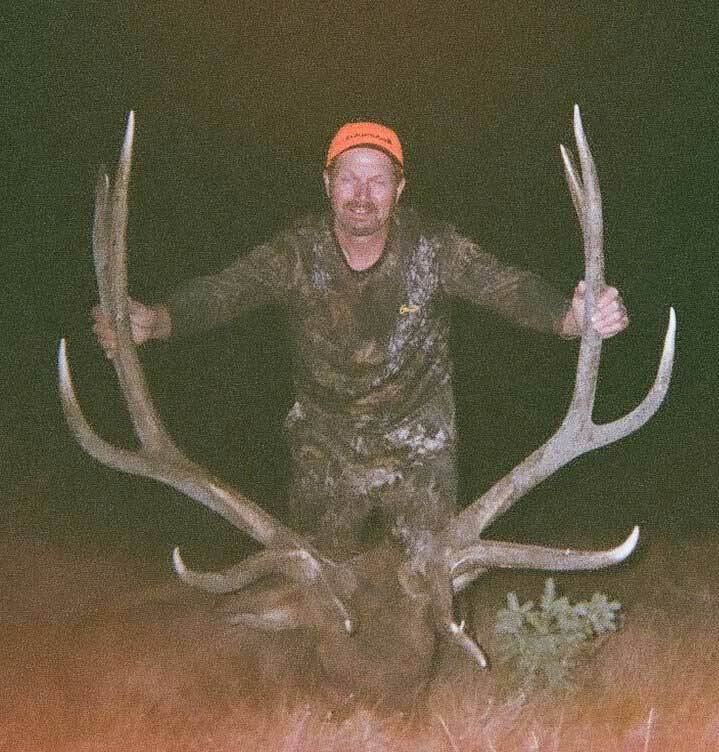 I was fortunate enough to kill the fourth bull we maneuvered on that evening; another real nice 6×6. Justin arrived on Day 6 to pack us out. Anybody with preference points should consider a Unit 66 with Action Adventures. It has incredible elk habitat and good numbers of mature bulls. Having never seen another person or boot track in 6 days, the elk were very visible and patternable. We can’t say enough positive things about Justin and his operation. His horses, camp placement and equipment and knowledge of the area were easily worth the price. We felt we got more than our money’s worth.